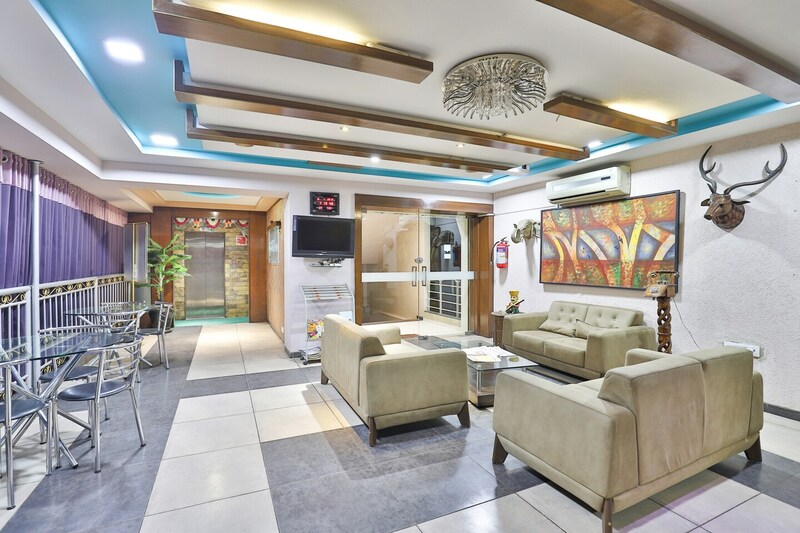 The tastefully done Hotel Shailly Inn is a great option for travellers looking for pocket-friendly options in Ahmedabad. The soothing pastel colours of the room walls give the eyes a treat. The interiors of the room are beautifully done with woodwork and bright textures. In-room facilities include free internet and hair dryer. The washrooms are equipped with basic necessities. Free Wi-Fi is also provided for guests to stay connected. The presence of CCTV cameras in the premises ensures safety and security of the guests. Secured parking, laundry, access to the dining area and elevator are other facilities provided to the guests. Musical Fountain and Sabarmati Riverfront Gandhi Bridge View Point are a few attractions near the hotel.